On 2 December 1940, a Russian biologist died whose name will not be familiar to many who currently share his profession. Those who do know the name of Nikolai Konstantinovich Koltsov remember him as the pioneer of the cytoskeleton—he predicted the existence of an internal scaffolding of cells 60 years before its confirmation. And his anticipatory vision reached much further when he predicted the structure of the molecules of genetic inheritance decades before Watson and Crick defined the double helix of DNA. But all this—Koltsov, his work and the golden age of Russian genetics—was crushed by what the geneticist and historian Valery Soifer has called “the most tragic event in the history of science”—the purge of scientists carried out by the Soviet regime. Born in Moscow on 14 July 1872, Koltsov fit the profile of the bourgeois scientist—the son of a wealthy family, university studies and sojourns abroad. However, he was an ardent defender of the popular cause against the tsars and for that reason in 1909 he was removed from his position as a professor at the university. Koltsov began his career as a zoologist, studying the anatomy of vertebrates, before turning his interests towards the new disciplines of biology, such as cytology, biochemistry and genetics. He was investigating crayfish sperm when he came to the conclusion in 1905 that the shape of cells was not maintained by osmotic pressure, as was believed, but was thanks to an internal structural network that he called the cytoskeleton. Today Koltsov is recognized as the first pioneer of the cytoskeleton; however, it was not until 1931 that the re-coining of the term by the French embryologist Paul Wintrebert managed to popularize it. And it would still be another third of a century until, in 1963, Myron Ledbetter, Keith Porter and David Slautterback made the cytoskeleton a reality by describing and naming microtubules, one of its fundamental components. In the summer of 1917, Koltsov founded in Moscow the Institute of Experimental Biology (IBE), a leading entity of its time, multidisciplinary and independent of the universities. The IBE, which Koltsov led for 22 years, hosted the leading edge of Russian genetics, which featured renowned names such as Sergei Chetverikov, Nikolai Timofeev-Ressovsky and Nikolai Dubinin. However, political turbulence would end up hindering the growth of this brilliant generation of Russian scientists. 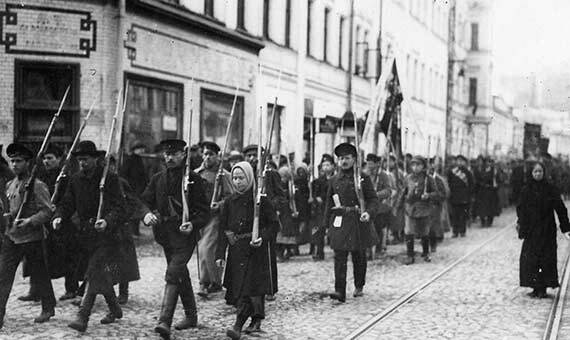 A few months after the foundation of the IBE, the Bolshevik revolution overthrew the Tsarist regime. However, in Koltsov’s eyes, the change did not bring about the long-awaited democracy. According to Soifer, “Koltsov joined a group of intellectuals who disagreed with the new policies and proposed changes to the political climate in the country.” Therefore, in 1920 the biologist was arrested as a dissident. Only the intercession of his friend, the writer Maxim Gorky, who appealed directly to Lenin, managed to get Koltsov released. In the following years, according to Soifer, the IBE “rapidly became a centre of excellence for genetics and cell biology.” The Koltsov Institute was ahead of its time in various areas of research. But above all, Koltsov’s most visionary insight was the one that foresaw a quarter of a century later the discovery of the molecular structure of genes. The hypothesis was audacious, because as Koltsov himself acknowledged in 1936, chemists did not then know of molecules of such gigantic proportions. And although he made a mistake in predicting that the molecules of heredity would be proteins, he was right in suggesting that information would be encoded by a sequence of different chemical groups, thus foreseeing the idea of ​​the genetic code; and that the opposing strands of both chains would be united by forces of attraction. This basic scheme would be confirmed in 1953 when James Watson and Francis Crick unveiled the structure of the inheritance molecule—DNA instead of protein, and with its chains linked by hydrogen bonds instead of Van der Waals forces. For the rest, Koltsov’s intuition was astonishingly accurate. It is almost incredible that, as Soifer confirmed, Watson and Crick had never heard of Koltsov’s hypothesis. And even more so considering that the idea of ​​the Russian biologist had come to the West through scientists such as J. B. S. Haldane, who in 1945 noted in the journal Nature that Koltsov was the first to interpret the chromosome as a giant molecule. However, once again it was politics that halted Koltsov’s work, this time permanently. 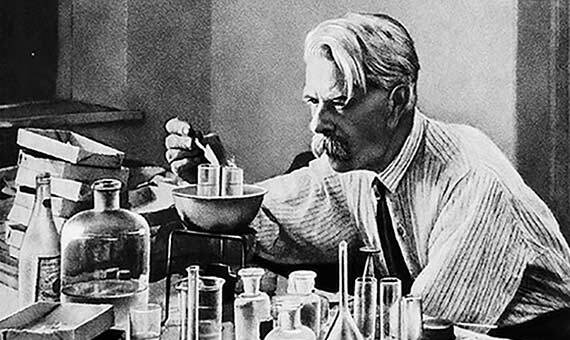 The biologist harshly criticized the theses of Trofim Lysenko, the agronomist who managed to impose the inheritance of acquired characteristics as the official biology of the USSR. When in 1936 the Academy of Agricultural Sciences of the Soviet Union launched its crusade against “bourgeois genetics,” Koltsov and other scientists positioned themselves against it, which placed them in the spotlight of the regime. His passionate defence of eugenics, which clashed with the Soviet idea of ​​the primacy of the environment over genes, contributed to his fall from grace.